No Amnesty / Impeach Obama Protest in New Jersey | Stop Obama Now!! In case you want to protest and you live in the area. President Obama will travel to the Maguire-Dix-Lakehurst military base in New Jersey on Monday. The base is about 15-20 miles southeast of Trenton New Jersey. His arrival time is not known. Should be prepared to come early and stay for a long time. Suggest protesting at the front entrance of the Air Base. Many of the service men and women will love to see protesters outside their main gate. 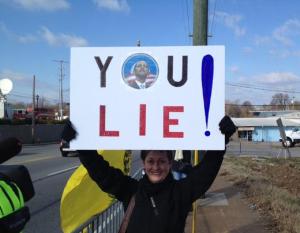 These are videos of recent protests of Obama visits in Las Vegas and Nashville.